Commercial concrete car park ramp. Quantum Concrete was contracted to place and finish with non slip surface. The Quantum Concrete team has years of experience in the concrete industry, and can handle any commercial concrete pour. commercial projects completed by us include. Based in Dunedin, Quantum Concrete service the wider Otago region and regularly work out of Oamaru and Balclutha. Call now if you’re looking for a quality commercial concrete contractor to assist you with your project. Whether you’re building a single or multilevel car park, wanting a concrete floor for a large warehouse, needing a smooth, hassle-free yard surface or forecourt, or have a retail space or office block in need of a high-quality, durable floor, Quantum Concrete has got you covered. Justin and his team of concrete specialists will work with you to provide the concrete solutions you need. Non-slip surfacing is ideal for car parks and driveways – to give that extra level of safety in our frosty Otago winters. A polished exposed aggregate surface might be just what your retail showroom or office foyer requires to give it that wow factor. Quantum Concrete is committed to providing a safe workplace. SiteSafe accredited, we are also an approved contractor for the University of Otago. We look forward to working with you on your next concrete construction project. 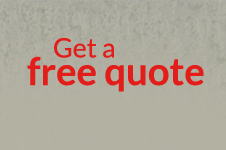 Call Justin or fill in our contact form for a free quote today.